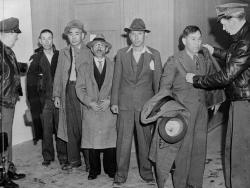 Pictured:Law enforcement officers search Japanese immigrants that have been taken into custody. On February 19, 1942, President Franklin D. Roosevelt signed Executive Order 9066, just months after Japan bombed Pearl Harbor. Some 120,000 people of Japanese ancestry were forced from their homes on the West Coast and sent to one of ten "relocation" camps, where they were imprisoned behind barbed wire for the length of the war. Two-thirds of them were American citizens. Order 9066, a three-part series, airs Sundays, July 15-29, 2018 at 9 p.m. on AM 1370. Order 9066 chronicles the history of this incarceration through vivid, first-person accounts of those who lived through it. With archival audio, historical context, and deeply personal narratives, the series offers audiences a nuanced and memorable account of how this shocking violation of American democracy came to pass, and its legacy in the present. This moving series is hosted by Sab Shimono and Pat Suzuki, veteran actors and stage performers who were both incarcerated at the Amache camp in Colorado. The series covers the racist atmosphere of the time, the camps' makeshift living quarters and the extraordinary ways people adapted; the fierce patriotism many Japanese Americans continued to feel and the ways they were divided against each other as they were forced to answer questions of loyalty; the movement for redress that eventually led to a formal apology from the US government, and much more. Order 9066 is produced as a collaboration with the Smithsonian's National Museum of American History. Order 9066: Chapter Three airs Sunday, July 29 at 9 p.m. After the Allies won WWII, the prison camps were shut down. This final chapter describes the process of leaving camp, and how many former prisoners found themselves unwelcome in their home communities. This chapter features stories of people who flourished in post-war America, and those whose lives were destroyed by Order 9066. It also explores the issues of whether families talk about the experience over generations – or choose silence. 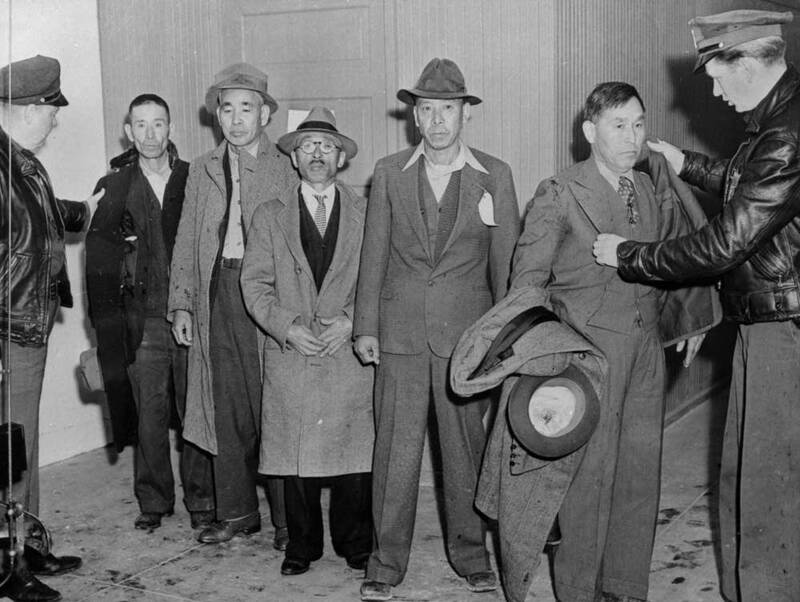 Listeners will also hear about the long struggle by Japanese Americans to secure redress for the hardship and losses produced by incarceration, and how the Civil Liberties Act of 1988 granted wartime survivors a public apology, individual reparations, and a public education fund. As camp museums and visitor centers are built, and pilgrimages taken, the enduring legacy of the incarceration is considered.